What is a Beneficent Spirit? In the weeks leading up to the pre-order launch, I’ll be posting excerpts from The Book of Maps while continuing the deck creator’s progress notes. 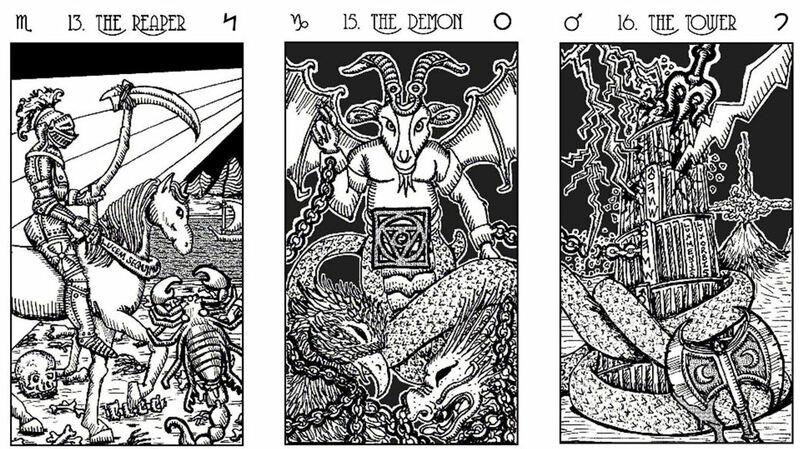 At numerous points throughout The Book of Maps, I’ve referred to the spirits that you interact with through the Spirit Keeper’s Tarot as beneficent, noting for comparison that malefic spirits, or spirits who do not support your highest good and best interests, are blocked from interacting with you through the cards. A psychic barrier has been crafted into place so that only that which seeks to do good, cause good to be done upon you, and to confer benefits can come through. However, what do I mean exactly by a beneficent spirit? Key 15: The Demon, for example, might not look beneficent to most of us. Few of us think of Death (Key 13: The Reaper) as beneficent, though if we’re being realistic, we can at least acknowledge that death is neutral. We might not be sure about what’s going on in the Ten of Swords, but The Destroyer isn’t our first impression of a beneficent spirit. I would still categorize these spirits, even The Haunt in the Nine of Swords, and yes, all of the spirits herein as beneficent. Beneficent doesn’t mean dressed in white, glistening with a pastel ombré, a golden halo, smiling, and the persona of gentility. That’s dressing, and it’s neither good nor evil. It’s just dressing. In fact, we’ve all encountered corruption and nefarious intents dressed up in a way that gives a superficial impression of goodness. It’s only when you look through the surface and past the superficiality can you pick up on the ill intent underneath. The beneficent spirits as depicted in Spirit Keeper’s Tarot and as they can manifest through the cards can at times appear wrathful, ominous, or grim, but they are still by their natures beneficent spirits. Why? Because they act in your best interest. They seek to uplift you, not tear you down. They want to see you in a place of abundance, fulfillment, and empowerment, not a place of weakness, deficiency, or damnation. They never want to see you under prolonged suffering. However, they may let you endure pain in the short term if it means that tribulation will build the strength and character you need to achieve greatness.